Conquering the slopes on your board in the strong morning sun – what could be nicer? Snowboarders too will find wonderful slopes deep in snow and varied pistes on the Emberger Alm and in the other ski regions in Upper Carinthia. And it goes without saying that things are hearty afterwards in the cottages too. Skiing, carving and snowboarding have to be fun – and that includes when you are learning too. On this basis our local ski school and our motivated and excellently trained team have put together a varied programme for all winter sports enthusiasts. Whether it is for the children inSnowland or adults on the alpine area, there is the right ski instructor here for everyone. The Oberdrautaler Ski- und Sportschule OSSI provides instruction for guests with officially approved ski instructors on Skiing - Snowboarding - Carving – Ski touring - Racing – Cross-country skiing – Children’s courses - Telemark – Private courses and all other trend sports. The Sunsite-Park on the Zettersfeld near Lienz is well-known far beyond the provincial borders. Lienz is a stronghold of freestylers. 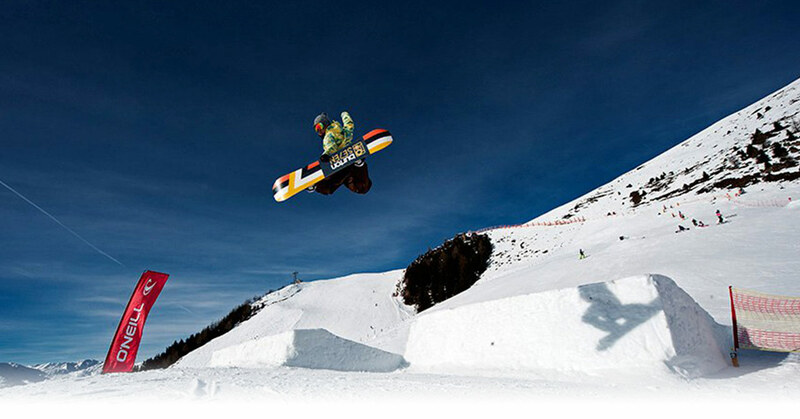 Freeriders and snowboarders who rock the Lienz club scene at night enjoy the sun and the lifestyle during the day. There are other ski regions with funparks near the Glocknerhof, such as on the Goldeck, the Nassfeld, the Mölltaler Gletscher and in the Defereggen Valley.